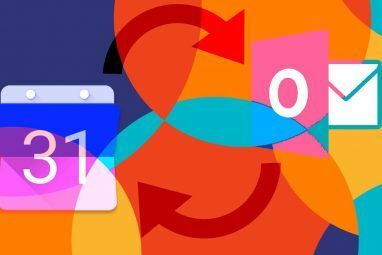 I stopped using the default iOS Calendar app when the popular alternative Fantastical was released last year, but in the world of mobile apps, there’s no end to new approaches for achieving the same results. Recently released “smart calendar” iPhone app Tempo (free) ties your pertinent data from your email, calendar, and contacts accounts, as well as Facebook and LinkedIn connections, into one place – saving you the trouble of opening two or more apps to locate related data for scheduled events and appointments. 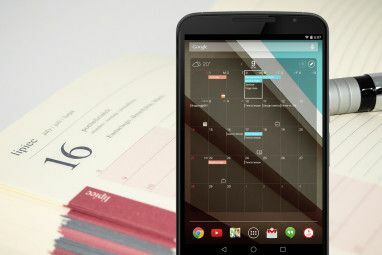 What’s most useful about Tempo is that it merges data from your calendars and contacts so that there’s less tapping and searching to get at important when it comes to calendar and event appointments. For example, say you have a 3:45 appointment at the local Apple Store today. That item will show up in Tempo along with contact information for the Apple Store, including the location. I can tap on that information and the app maps directions, which provides a driving time from my current location, and available parking information. Tempo can also show or link to related flight statuses, LinkedIn profiles, and in-app connections to Foursquare and Yelp entries for locations. In addition, Tempo links to emails and document attachments associated with a scheduled event so you don’t have to go hunting that information down in your mail accounts. You can also schedule and add events from within Tempo, which are then synced to your default calendar account. Scheduling events in Tempo is not quite as fast as with Fantastical, but you can use Siri from with the app to schedule events as you regularly do with the voice activation feature. Suffice to say, Tempo could save you a lot of time. You need to give Tempo permission to access your email and contact accounts. Tempo supports Exchange, Gmail, iCloud, Yahoo, and IMAP email, which covers most major providers. The key to getting the most out of Tempo is to intelligently use it with the type of information available in your contacts list. If, for example, I name an event simply “dermatology appointment“, Tempo may not be smart enough to locate related information in my contact list. Instead, if I input the name of the dermatology office listed in my contacts, then Tempo will locate and connect with that information. The same goes for improving and accessing flight status information. Tempo suggests that you put the airline and flight number in your event title, location, or note so that it can find the flight status, gate and terminal information for you. Unfortunately, Tempo is not always as intelligent as it could be. In my testing of the app, it was indeed able to pull related emails to a scheduled calendar event, but it failed to connect the sender’s name with her contact information in my Contacts list. The same goes for a listed car registration appointment. Tempo wasn’t smart enough to link to my DMV contact information, which is listed in the appointment. The ability to manually add a contact link to an event when you use the app to make the appointment would improve the functionality. 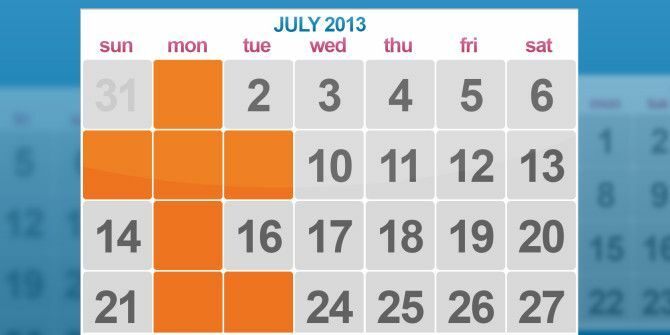 You can view calendar events and appointments in Tempo by Agenda, List, Day, Week, or Month. When you tap on an event, there’s also a convenient way to send an email message that automatically puts the name of the event in the subject link. Similarly, you can tap to share an event, which automatically puts the event information in the email. Tempo also allows you to send a quick “running late” message via email or SMS, depending on what contact information is listed. You can also set up Tempo to help you deal with scheduled conference calls. Tempo looks for listed event titles, locations and notes of known conference call patterns. So in your event, you might list the conference call number, followed by the passcode, e.g., 1-888-800-8888 passcode: 12345. When you tap the phone number listed in your Tempo agenda, the app will make the call and input the passcode for you. As you might expect, Tempo also allows you to send Facebook birthday wishes directly from the app, after you give it access to your account. Likewise, allowing Tempo to connect to your LinkedIn account could reduce the need to open yet another app to reach contacts related to an event or appointment. Tempo has a clean and pleasant user interface, and in my tests it updated almost immediately after I added information to my calendar, contacts, and supported social network accounts. 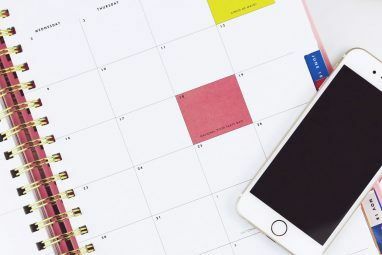 The app might be a little more useful if it also connected to your Reminders app, and if possible allowed you to manually link emails and contacts to events and appointments. Tempo is not (yet) optimized for the iPad, so check out Simon Slangen’s round-up of three great alternatives to the iPad’s Calendar application 3 Great Alternatives To the iPad's Calendar Application 3 Great Alternatives To the iPad's Calendar Application Read More if you’re using a tablet. What do you think of Tempo? Will it replace the current Calendar app on your iPhone? Add your thoughts and app suggestions to the comments, below. These criticisms below are normal for a new industry and product; especially as evidenced by a couple of quick fixes on the back end to search/index the contacts field, or using the new iOS 7 background refresh options. Let's pray they are in for version next! I'm sure the guys at Tempo are tired of seeing me write this, but reviewers (everyone I've read) fail to mention some serious shortcomings. For example: it's billed as a great app for business people. But if you type in "meet the guys from Time Warner Cable" it has no idea who that is, because Tempo does not search in the company field of your contacts. And yes, as a Tempo user for many months, I have verified this with Tempo. It will look for "Time Warner Cable", and will come up with a bunch of suggestions. But there is no way to choose the correct one. Tempo uses its own sync server. So if you add a bunch of appointments on your computer, they will never appear in Tempo unless you load up and app and let it refresh. I want to love Tempo, but with those and other shortcomings, it's hard to switch from apps like Fantastical. Even "Donna" will find business names in your contact file (without having to upload them to another server). Hey Kenn, thanks for your feedback. I alluded to this problem in my article, and I think it could be addressed if the developers provided instructions on what type of input Tempo can actually search. Hopefully they will work out this problem in a future update.